Fast forward to last Monday night: I don’t live in Venice anymore and haven’t made it out to Chaya in ages. I am invited in to check out the newly renovated Chaya Venice for a media tasting and dine not at the bar, but in the proper dining room. 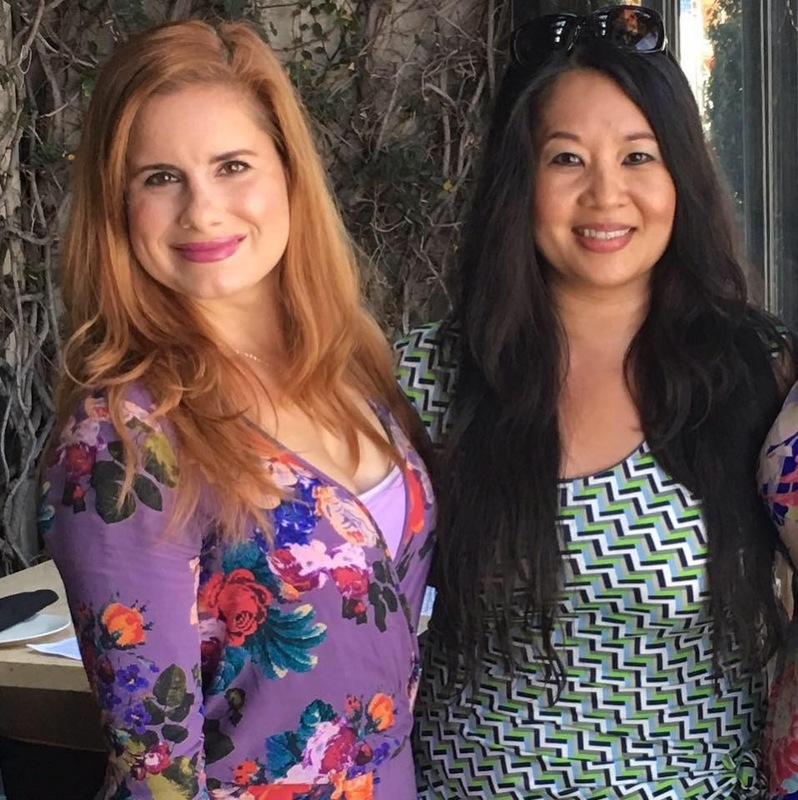 With Danielle, my friend and owner of my favorite LA restaurant blog, Follow My Gut, I was excited to indulge in some nostalgia and taste items outside of the happy hour menu. The original Chaya, a family-owned teahouse called Hikage Chaya, debuted in Kamakura, Japan in the early 1600’s. 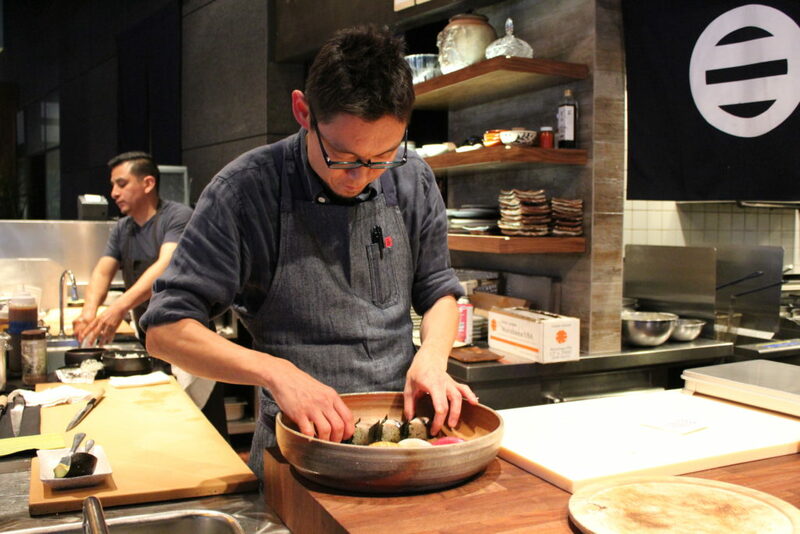 After centuries of reinventions and expansions into other locations, the Chaya group eventually opened a Venice location, under founding Chef Shigefumi Tachibe in the 90’s. Current Corporate Executive Chef Yukou Kajino and Executive Chef Joji Inoue are now leading the show. 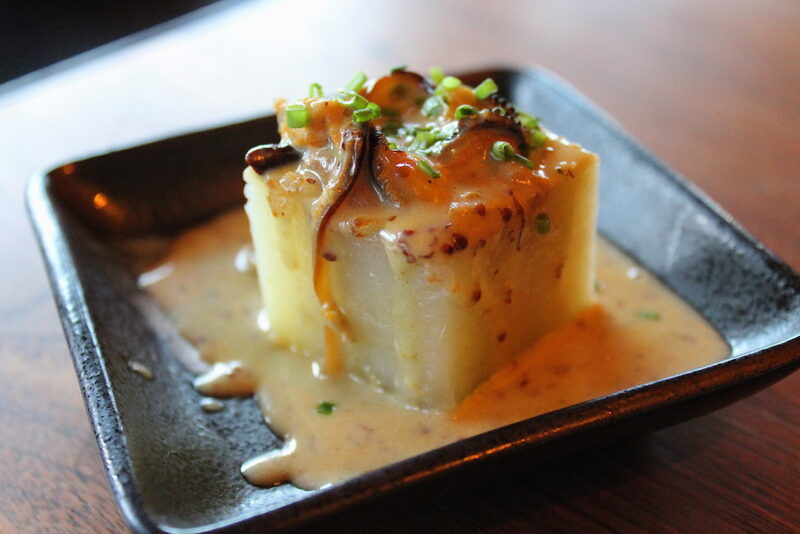 The appearance of this longtime Venice favorite had not been touched but it finally got its LA glow up and the addition of “Modern Izakaya” to its name. 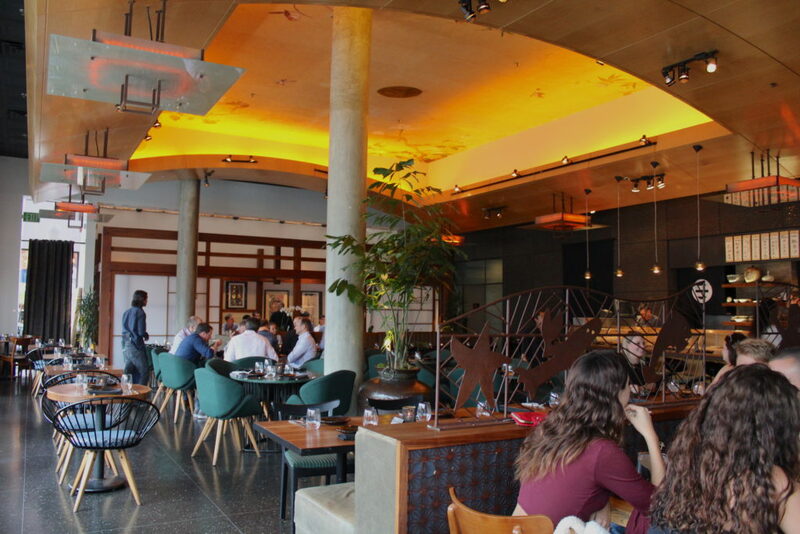 Changes include swapping the vibrant red exterior for a light Japanese bamboo fencing, long communal cedar tables in the lounge, and a more intimate main dining room (they swapped 25 seats for a new banquet room). Sadly, my beloved white tablecloth is gone. I’m not sure if the glow up was necessary for me, since the only reason I hadn’t been in so long is due to proximity. I prefer the former 90’s Japanese-meets-French brassiere vibe, even if was a little dated. I think there’s fun in being formal, in eating like a “grown up.” I realize the rest of LA wants all their favorite spots to be “mod upscale-casual” so I suppose they could make everyone else happy with it. Although I noticed some changes to the Happy Hour menu — doing away with some of their beloved sushi rolls, like the Spicy Shrimp and the Chef’s Choice — I am happy to report they did not get rid of the classics like the Lychee Martini and the Mac & Cheese. They’ve also added nigiri and sashimi to the bar menu, which I don’t recall from my Firehouse days. The bar now boasts a larger selection of liquors, including more tequilas and a more developed Japanese whiskey program. Although I’m not indulging in cocktails (I’m breastfeeding, so beer and wine is more my thing) I will note the specialty cocktail list is perfectly updated with drinks for beachy, Westside vibes and not overly trending. At the Kaisen Bar, similar to a Chef’s Counter, guests can dine on a set omakase menu, featuring the freshest sushi and oysters made right in front of them. 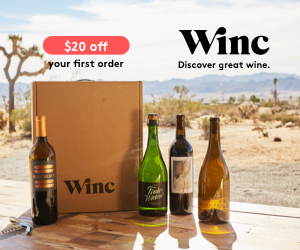 The wines are mostly California-based, with a few European options, and are perfect for pairing with the new menu items. Every dinner should begin with bubbles, so that’s how I started mine. The Schlumberger Grüner Veltliner Brut is minerally, high on effervescence and the floral notes work perfect for the Amuse Bouche and Big-Makase, a five-piece nigiri selection. The Amuse Bouche of the evening (note: off menu item that changes every day) was an ample portion of a potato stuffed with mussels in a Pommery mustard sauce. If this was any indication of how the dinner would start, I knew I was in great hands. Based off image above, the nigiri in the Big-Makase is intended to be eaten starting left and working your way right. Each nigiri piece had a different sauce, starting with Maguro with a savory sauce, Hamachi with a buttery, smoky soy sauce, Sake with yuzu pepper sauce, seared Shiro Maguro with a garlic ponzu and Scallop with a plum paste. Danielle and I both agreed that while all of these were great, the Shiro Maguro (aka albacore) was our favorite bite. 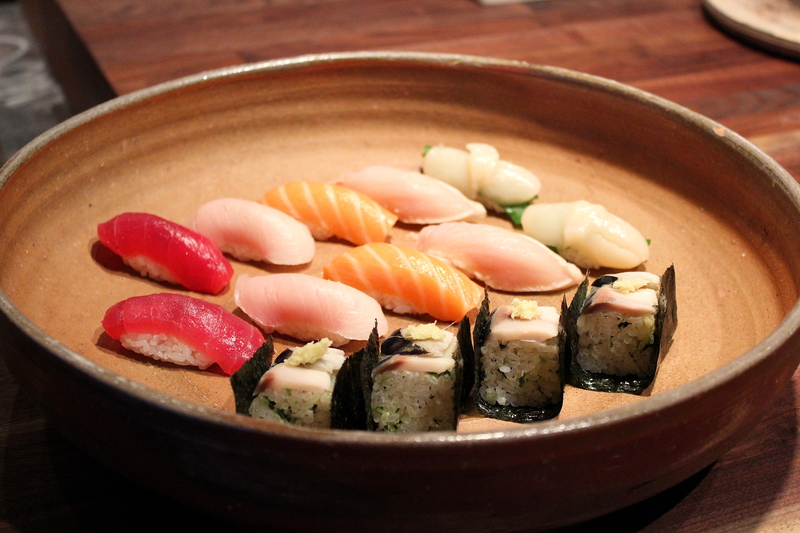 We tasted another off-the-menu treat, a roll of cured mackerel topped with ginger and shiso leaf. Fans of the pungent shiso leaf would love this one, since there is an ample amount in the rice, so be sure to ask if they’ll make it for you. The next course was my favorite new dish of the evening. 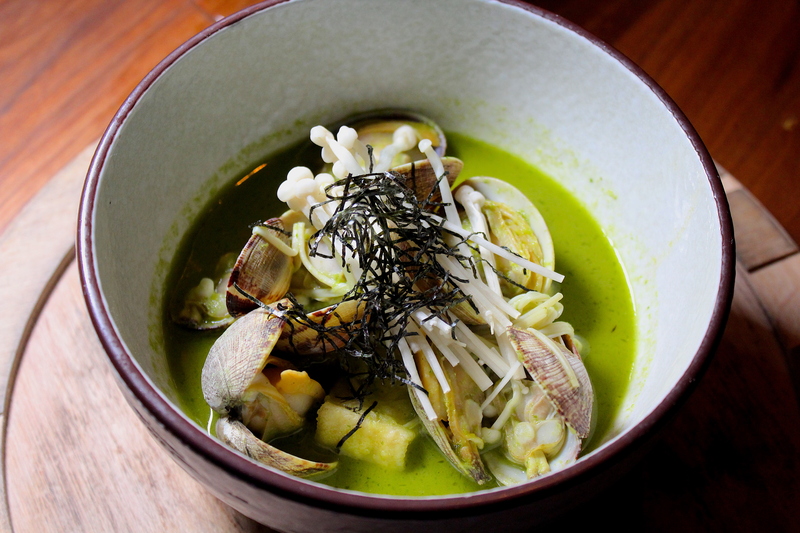 The Manila Clams are steamed in a green garlic broth and settle upon silky tofu. 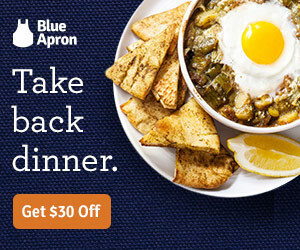 Be sure they bring a spoon, cause you’ll want to sip up that broth. Pair this one with the St. Urbans-Hof Black Label Nik Weis Estate Old Vines Riesling, since it’s a sweeter, fruity pour. There is now a larger selection of salads and vegetables added to the menu. 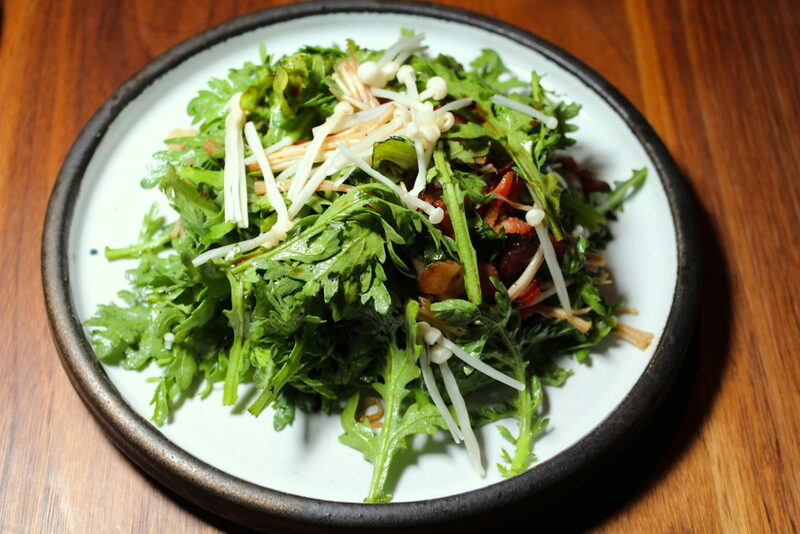 The Chrysanthemum Salad is a meatier options with chewy bits of bacon, enoki mushrooms and bacon vinaigrette. 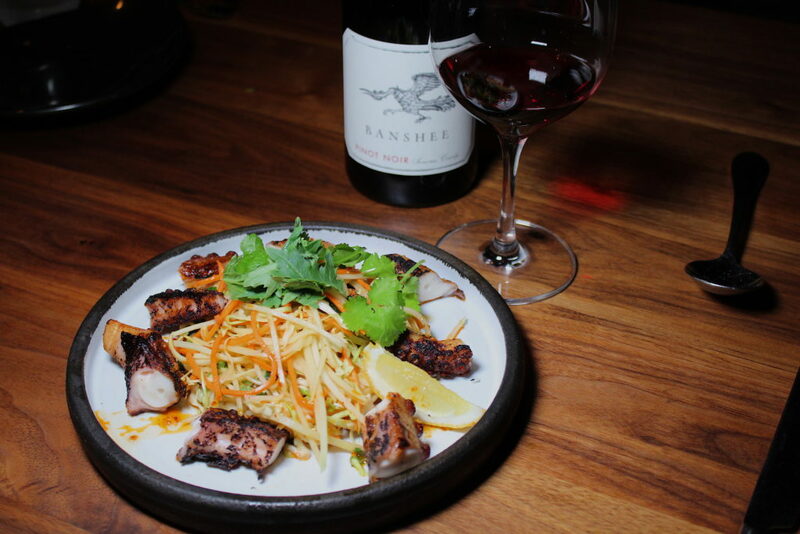 It’s not listed under the salads but the Grilled Octopus is a lighter dish that comes with a filling portion of green papaya salad. If you’re on a date, don’t fear this salad — it’s less garlicky, compared to others, so you can confidently kiss at the end of the night. The octopus, braised for two hours with lemon and spices, then bincho-grilled, is charred around the edges but still maintains a marshmallow softness. Although I originally thought I’d be pairing a fuller white or even a sake with these two, server Marcel recommended the Banshee Pinot Noir, which was better since it’s a lighter, riper red, a perfect in-between. The Pork Chop Katsu, served bone in, is crisp with panko on the outside but juicy on the inside. 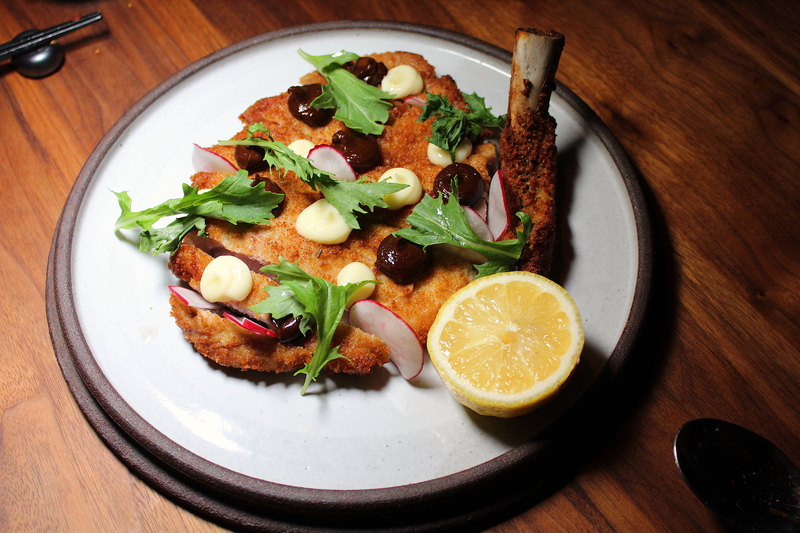 Since it’s a pork chop cut, it is quite thick and topped with a peanut-mole and Japanese mustard. I paired this with Arcadian Sleepy Hollow Vineyard Syrah. It’s an intense, smoky syrah, perfect for meatier dishes. I’m not much of a dessert person but the Cherry Parfait, with mascarpone cream and light chunks of brownie was to die for. Ask Danielle, I inhaled it! 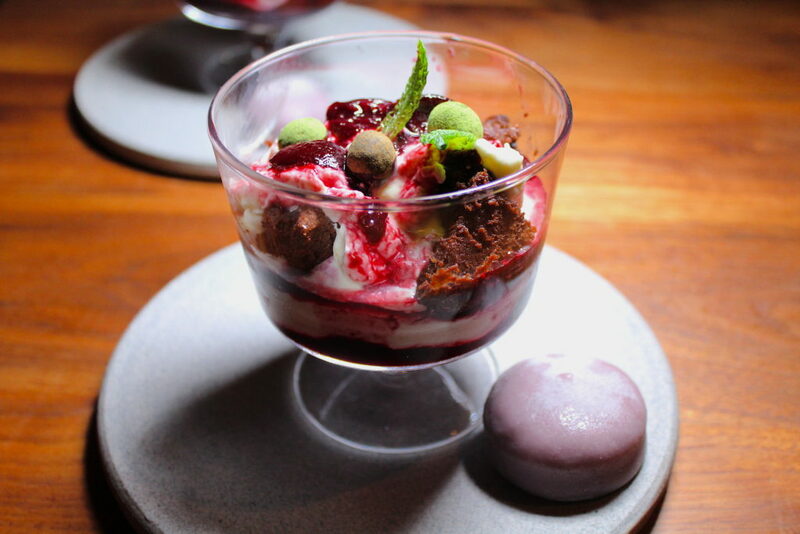 The Early Grey mochi ice cream on the side was herbal, creamy and melts in your mouth. Make sure to save some of the syrah for this one, especially after it aerates even more. The new menu is delicious, thoughtful and very modern, to match the new esthetic. Thanks to Lawrence Moore and Associates for setting up this media tasting. Although this dining experience was comped by Chaya Venice, all thoughts and opinions expressed are my own. « What Are Some Of The Trendiest Foods Of 2018?